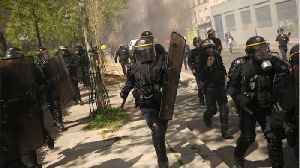 Police in Paris fire water cannon, tear gas and stun grenades at ''yellow vest'' protesters demonstrating against diesel prices and the high cost of living. 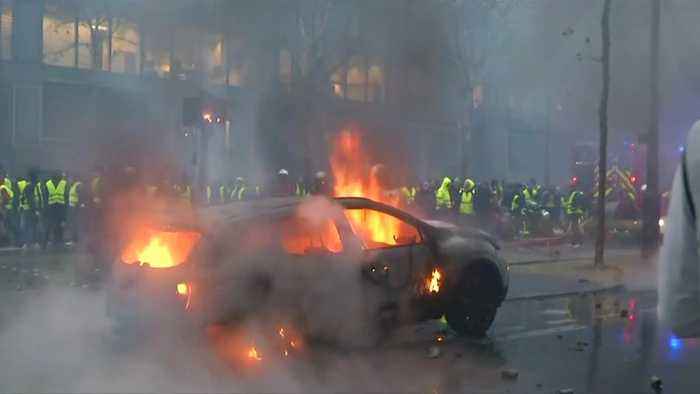 As night falls in Paris, a dozen cars blaze and building is on fire as the ''yellow vest'' protest continues in the French capital. 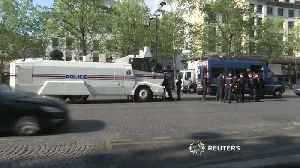 More than 60 people have been injured as violence grips the Champs Elysees and surrounding streets. 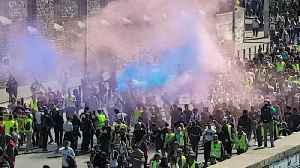 The protests against diesel tax hikes and the high cost of living in France are now entering their third week. 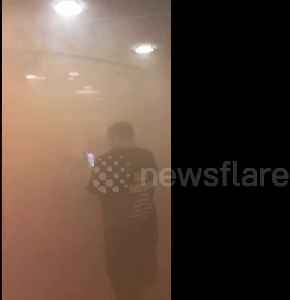 Protests began earlier on Saturday (December 1) morning with riot police using water cannon, tear gas and stun grenades. 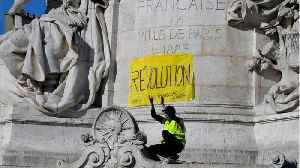 Police unions said across France there were some 31,000 protesters and 582 blockages. 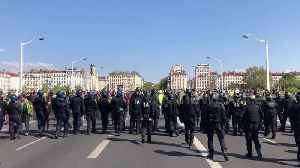 In Paris, over 100 people have been arrested amid concerns that violent far-right and far-left groups were infiltrating the movement. On Friday (November 30) similar scenes played out in Brussels where a peaceful protest of around 500 people descended into violence. The ''yellow vest'' movement is one of France's most sustained challenges to Emmanuel Macron since his election in 2017. 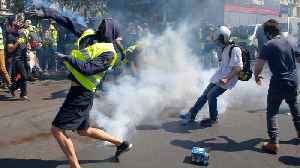 The French president has offered to talk with representatives of the protestors ahead of the next round of fuel tax hikes due in January. Macron said on Tuesday (November 27) he understood the anger over the squeeze that fuel prices have put on households. But insisted he would not be bounced into changing policy by "thugs". 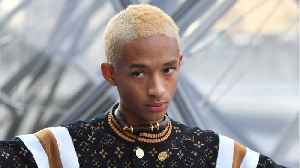 His unyielding response exposing him to charges of being out of touch with ordinary people. 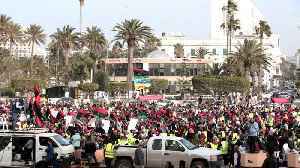 The protesters though have no leader and most of the rallies are organised online using social media.